The British university student talked about her struggles earlier this month at the 2nd International Congress on Advanced Treatments in Rare Diseases in Vienna. Collin first landed in the hospital at 17 months old after a sore throat and ear infection wouldn’t go away. Initially diagnosed with leukemia, she was eventually transferred to the oncology department at London’s Great Ormond Street Hospital. By the time Collin was discharged three months later, her father had left the family. Her mother, Tanya Collin-Histed, was forced to support the family, eventually becoming a patient activist. She is today CEO of the 48-nation International Gaucher Alliance. Collin is one of 30 or so people in Great Britain with Gaucher type 3, which — like the more severe type 2 subset — is generally a disease of infancy and childhood that affects the brain and spinal cord. She serves as a director on the board of the UK Gauchers Association, where everyone else is either a type 1 patient, or a caregiver. Type 1 is the most common form of Gaucher, and has varying degrees of symptoms. Gaucher affects about one in 60,000 people, and is particularly common among Jews of Ashkenazi, or European, descent — although Gaucher patients can be found all over the world, including in India, Pakistan, Japan, and Latin America. Treatment generally consists of enzyme replacement therapy — which costs about $200,000 a year — and patients with Gaucher are more likely to develop Parkinson’s disease later in life. By the time Collin was in high school, her self-esteem had improved — yet her home life was in tatters. At 16, Collin tried to commit suicide — a time she called “the darkest period of my life.” She eventually moved in with an aunt in Manchester and continued her studies there. Collin is currently studying for her master’s degree in international development at the University of Bath, after earning a bachelor’s degree in social science and environmental studies last summer. 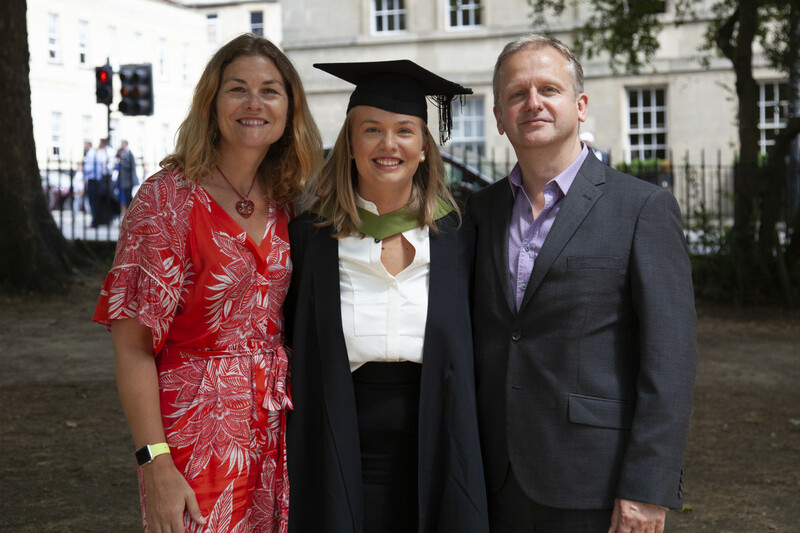 For her dissertation, she chose a topic she knows well: the impact of Brexit on rare-disease patients in the U.K. At her graduation ceremony, her parents saw each other for the first time in years. Collin has since reconciled with her father and says she has a good relationship with him now. Collin concluded her presentation with an appeal for more understanding of people with Gaucher disease — and a suggestion not to take life for granted.